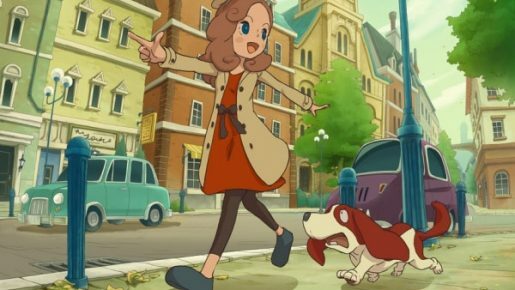 When I met with Level-5 to discuss Layton’s Mystery Journey: Katrielle and the Millionaires’ Conspiracy at E3, one of the topics was the difference between the mobile and 3DS version. Due to preconceptions, they found it difficult to convince gamers that the mobile version of Layton’s Mystery Journey: Katrielle and the Millionaires’ Conspiracy was not a simplified or scaled down version of the 3DS game. What they assured us is, whether you buy it on the 3DS or for mobile devices, you’ll receive the same game with minor changes. The main difference is set up, since the 3DS has multiple screens and images can be arranged better or at least differently. The other is mobile devices will have the opportunity to purchase additional costumes for Katrielle Layton, which will be included, for free, with the 3DS version. Outside of these two things, the puzzles and content are exactly the same. So if you’d rather get Layton’s Mystery Journey: Katrielle and the Millionaires’ Conspiracy early on a mobile device or wait for the 3DS, rest assured that you’re not missing out.